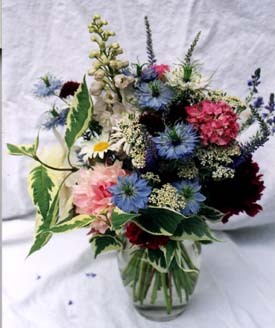 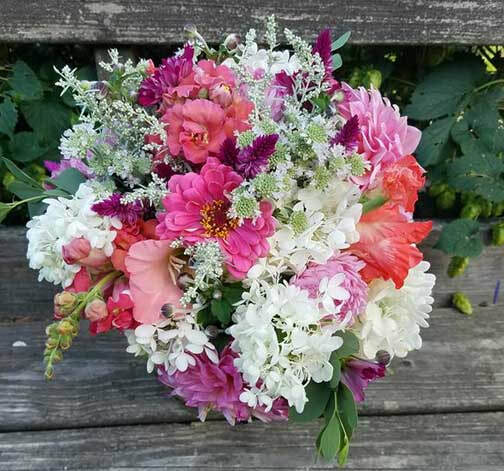 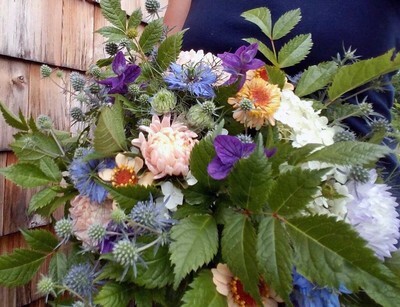 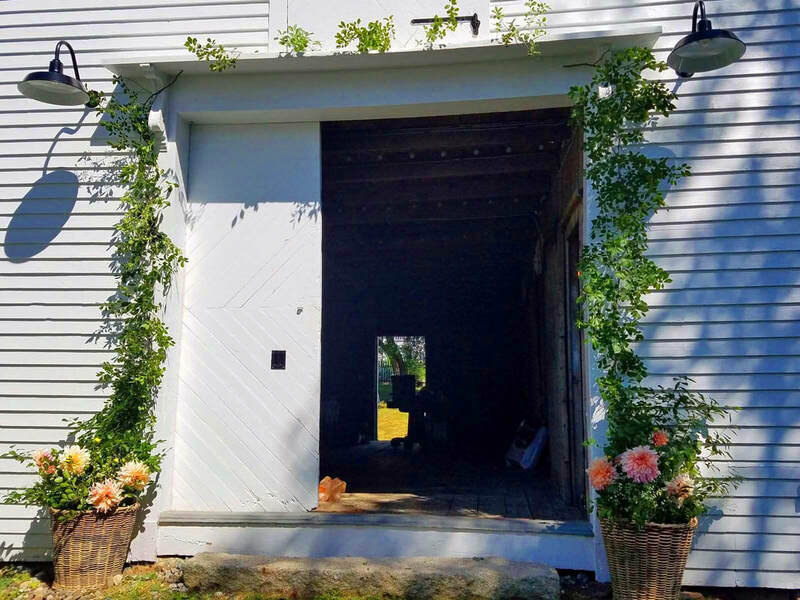 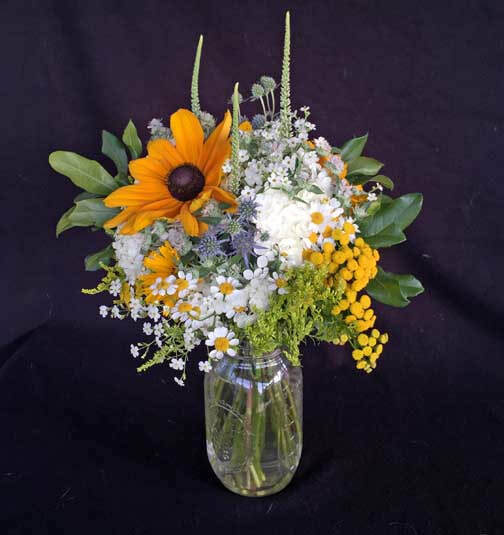 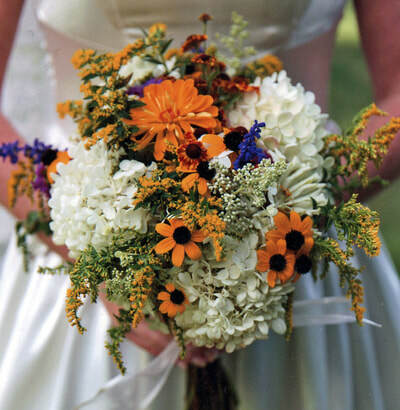 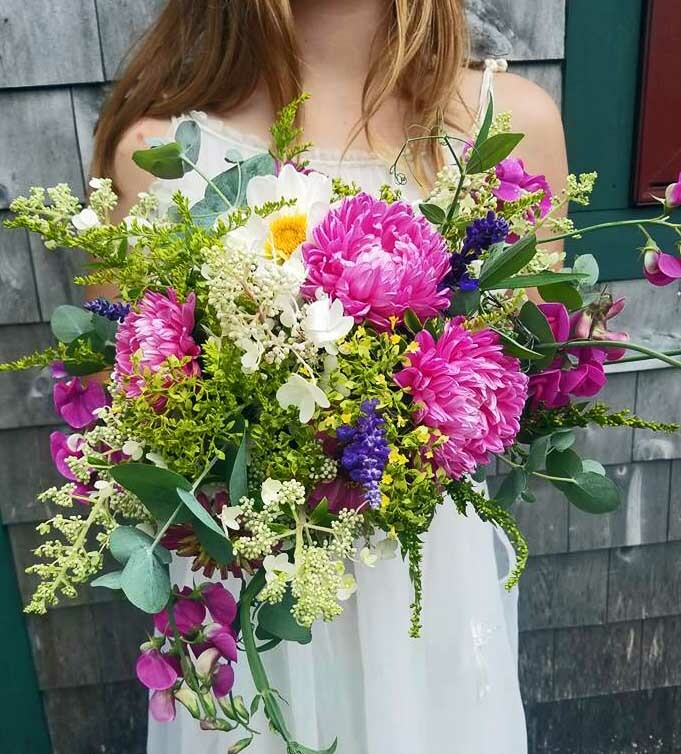 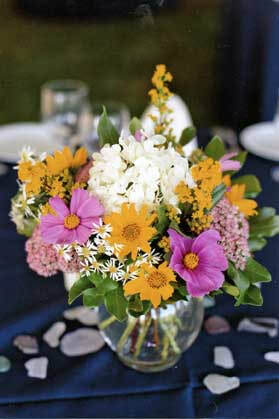 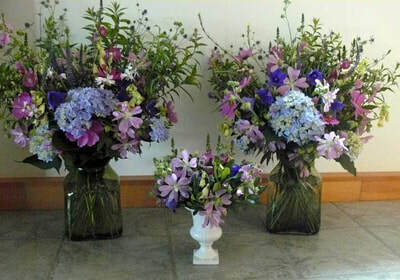 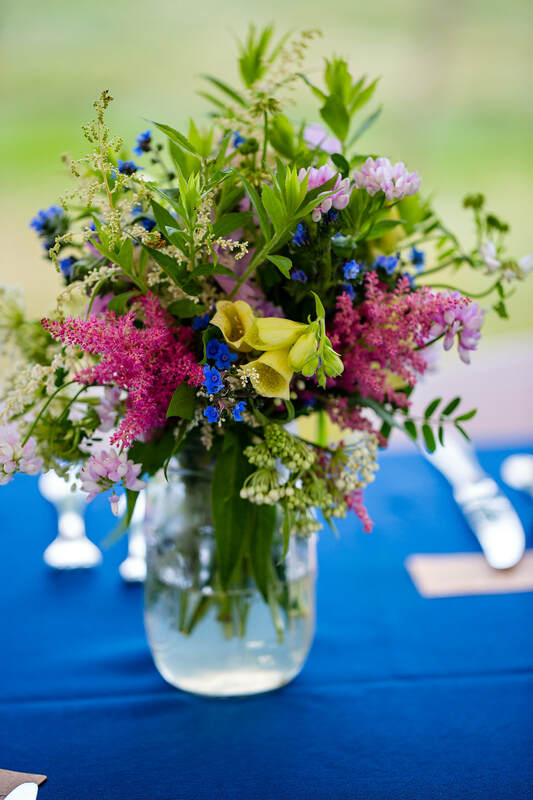 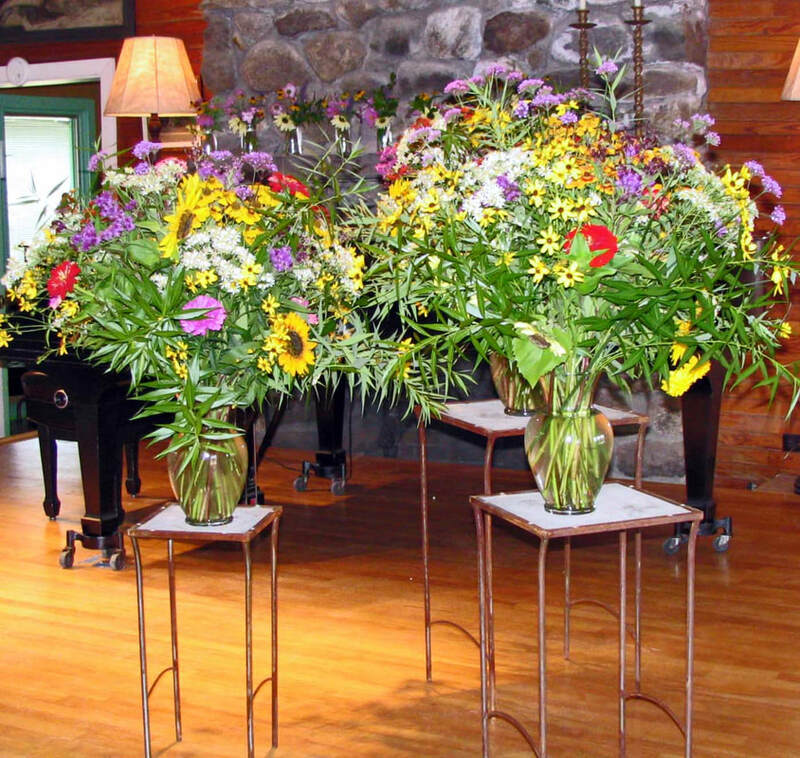 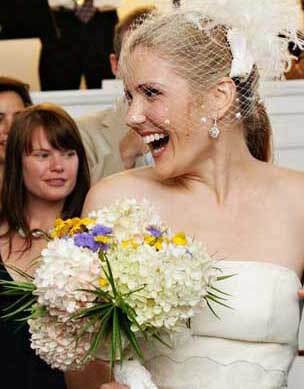 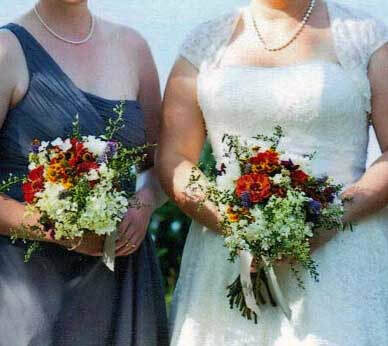 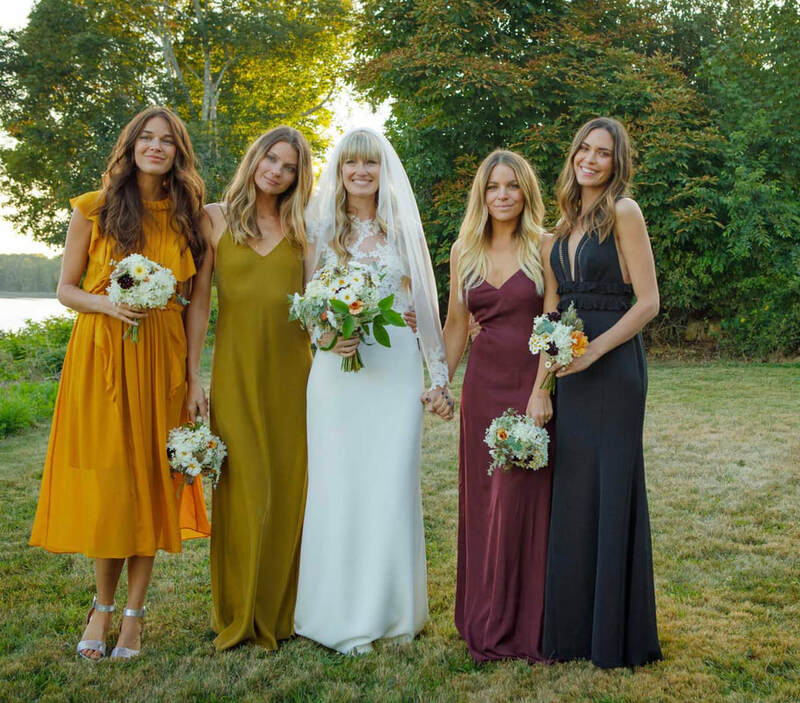 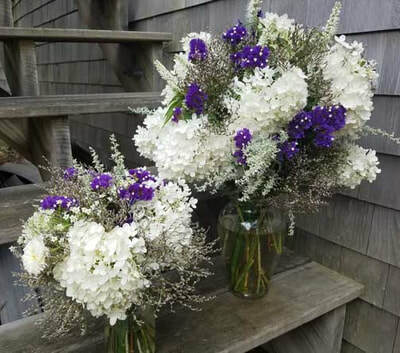 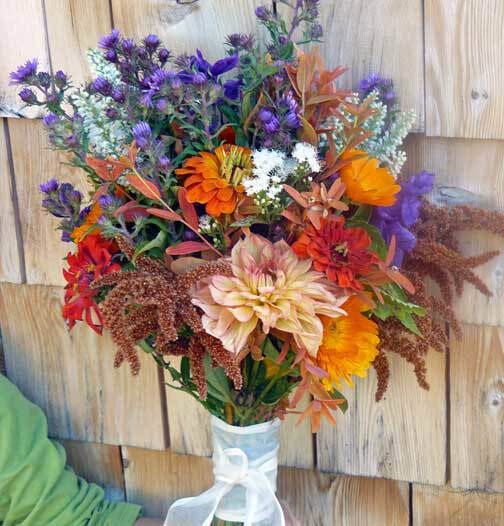 Your Downeast wedding deserves gorgeous, locally grown, seasonal flowers. 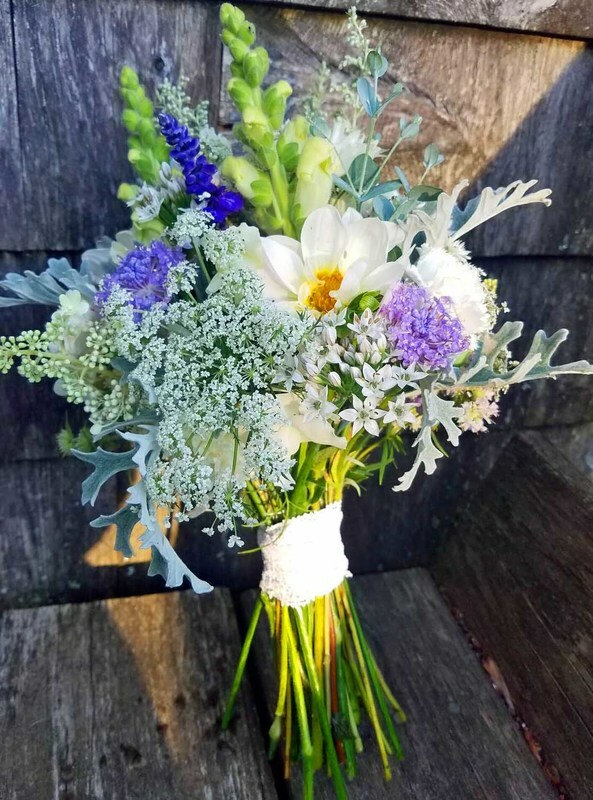 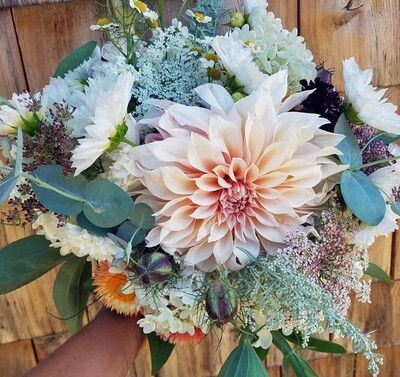 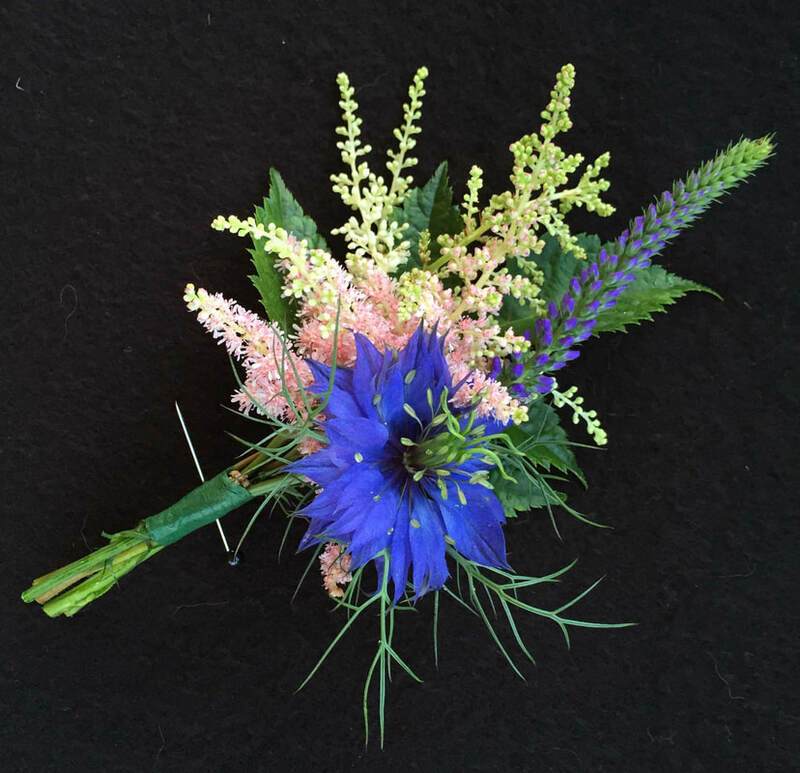 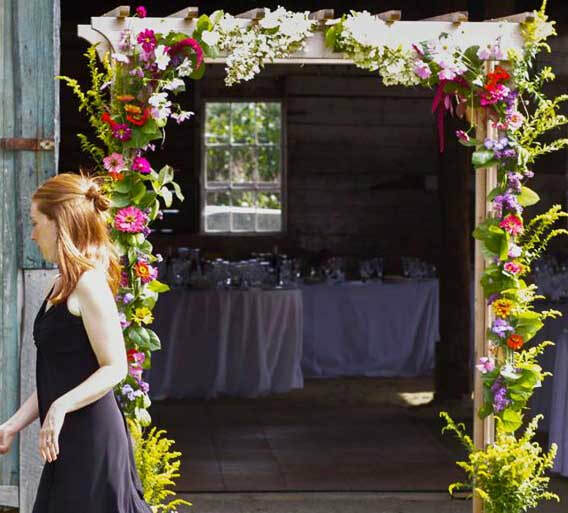 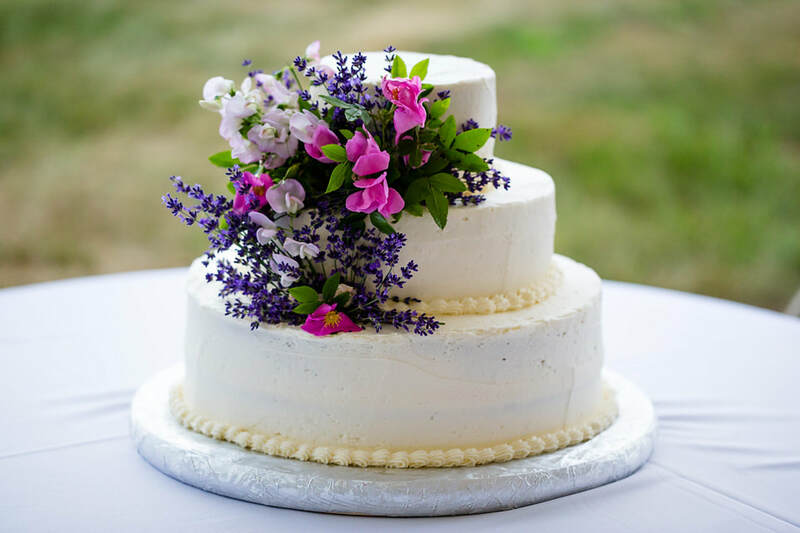 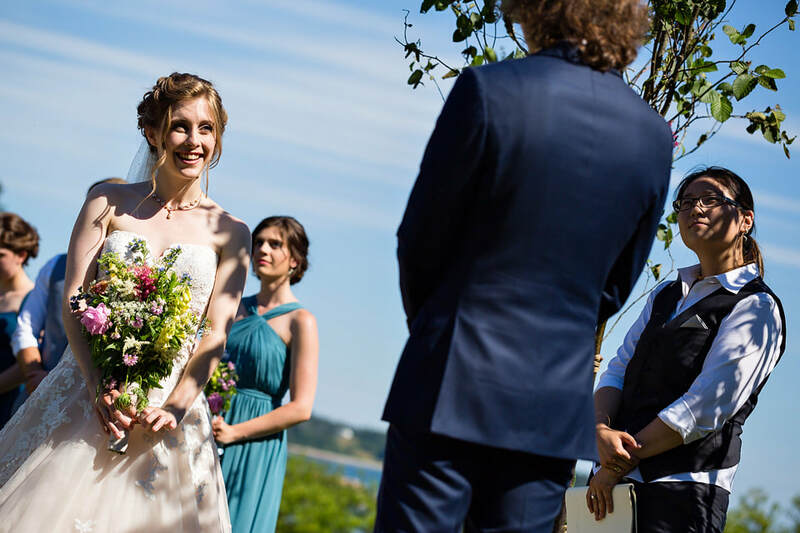 For your special day, Dan and Juli can do it all: from bouquets, boutonnieres, corsages, wreaths, and table arrangements to onsite consultation and decoration. 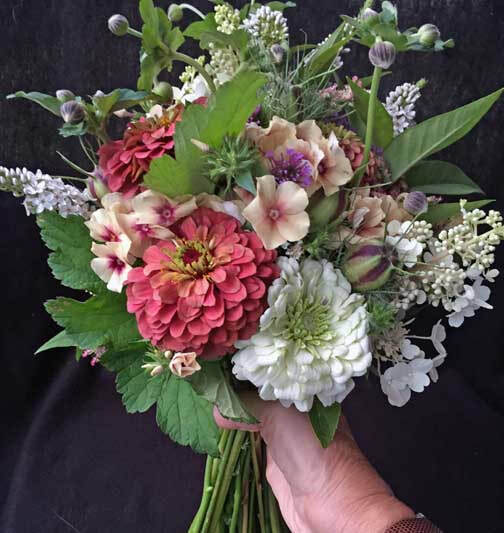 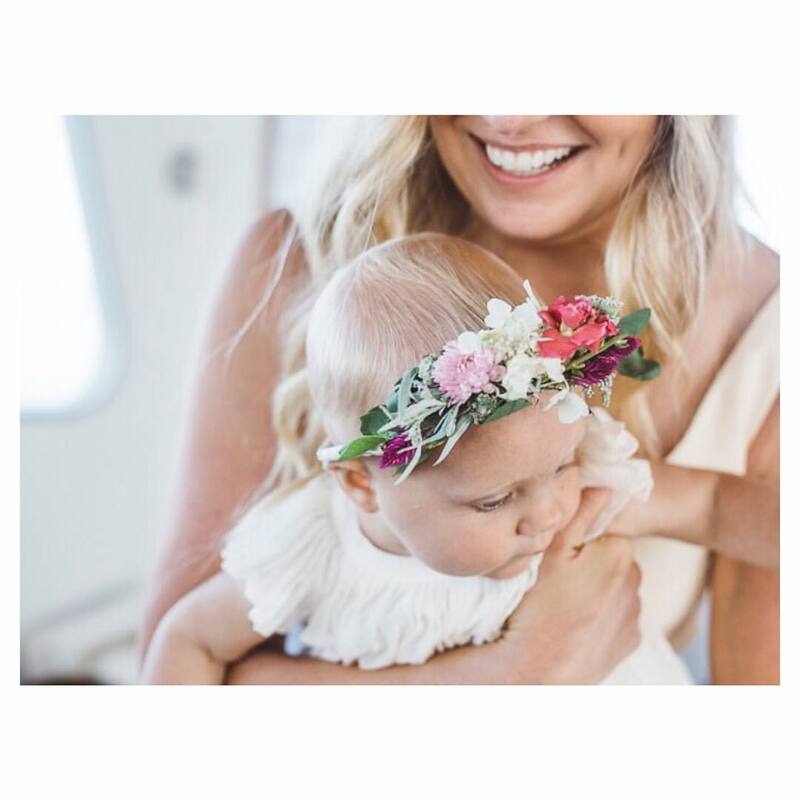 We are experts in working with what's seasonally available, so you can relax and know your flowers will be everything you'd hoped for. We encourage you to visit the farm so you can choose what we'll cut for you. 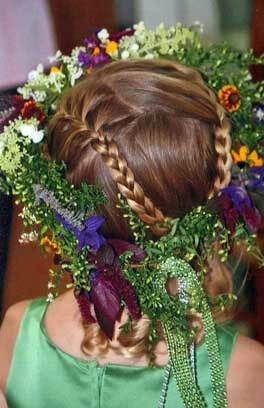 Rather do it yourself? 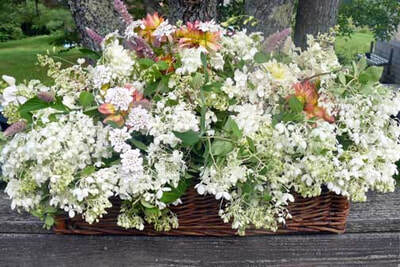 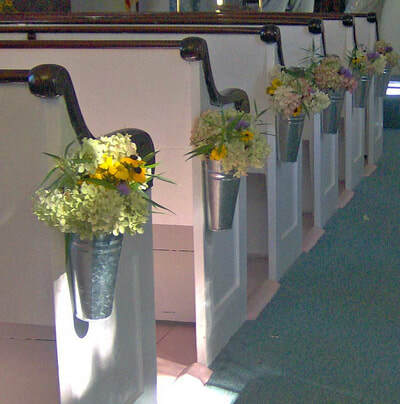 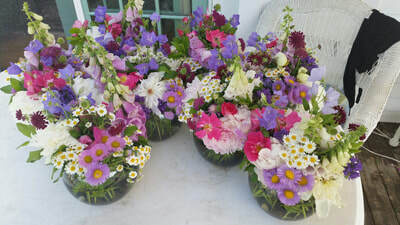 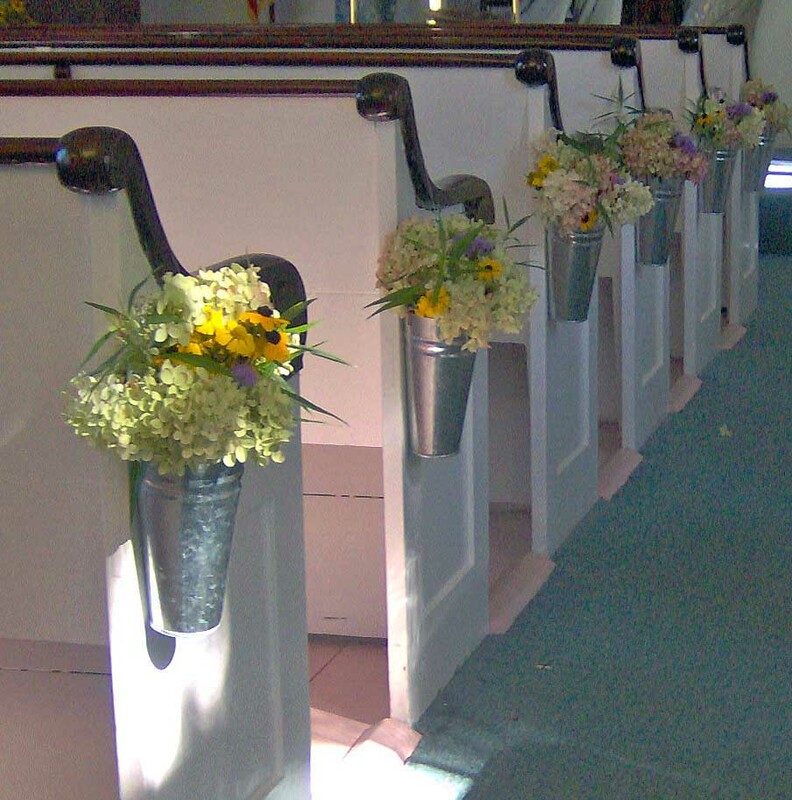 We also offer bulk flowers by the bucketful. 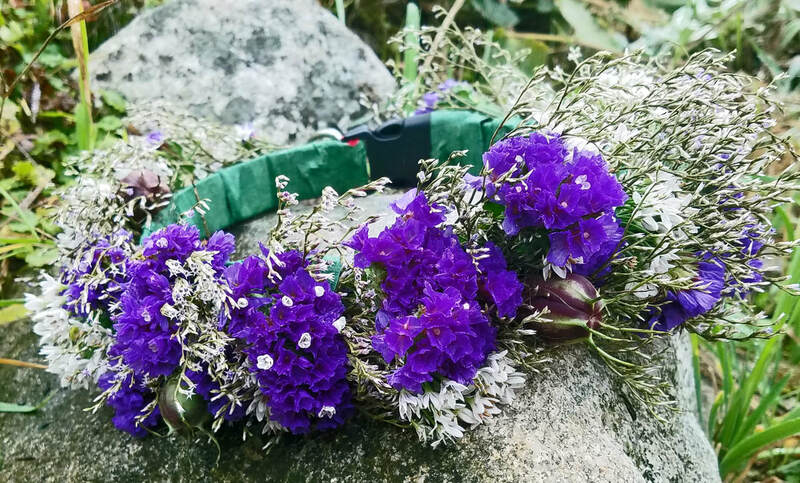 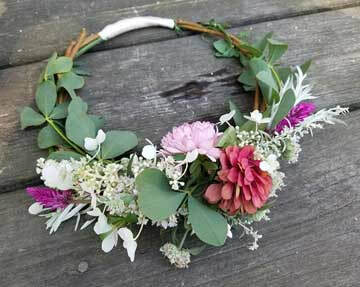 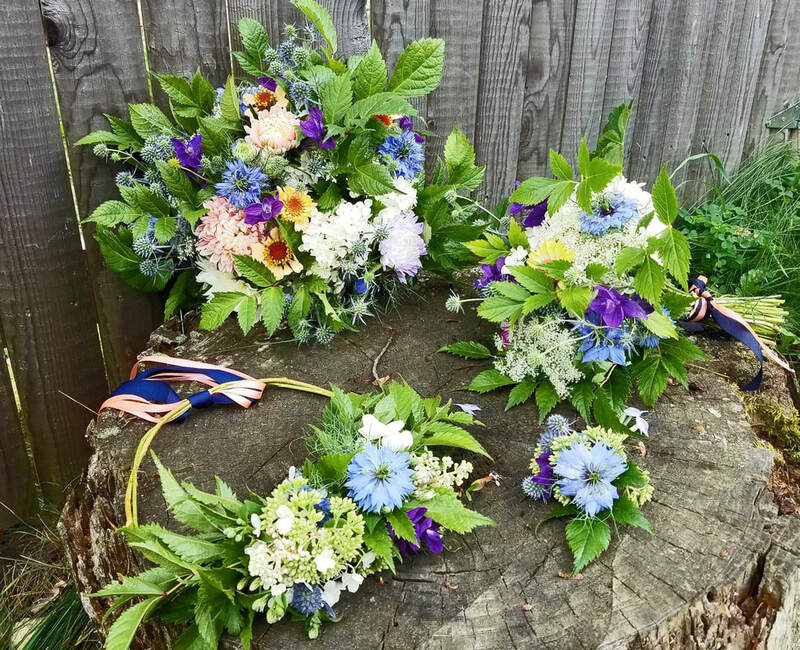 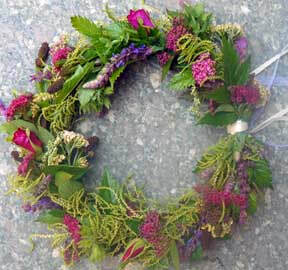 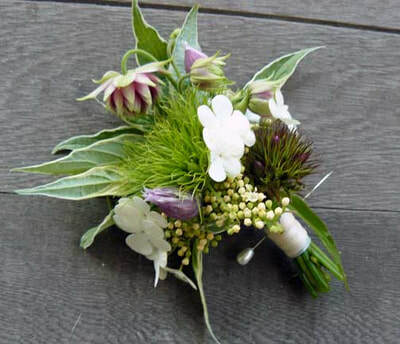 Boutonnieres, corsages, nosegays, wreaths — even dog collars!